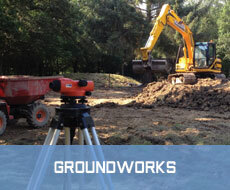 Welcome to S.R Brierley Groundwork Services Ltd.
Brierley Groundwork Services Ltd is a well established and reputable company, formed following the success of S.R Brierley Landscape Services Ltd which has been trading for over 10 years. 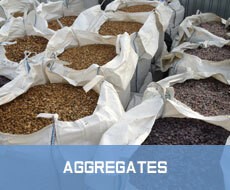 Our aim is to provide high quality services at competitive rates. We offer a variety of services including groundworks, demolition, land clearance and landscape construction as well as aggregate supplies, plant and grab lorry hire. 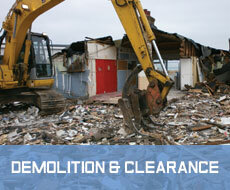 Our contracts vary from domestic projects to commercial local authority work. One of the great advantages of using Brierley Groundwork Services is that we can provide all our own plant and aggregate supplies for your groundwork or landscaping project. This eliminates the hassle of dealing with multiple contactors or suppliers on site. 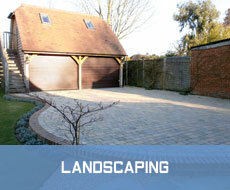 We are based in West Sussex but also provide services to East Sussex, Surrey, Hampshire and Kent. All enquiries are welcome however large or small your project is. 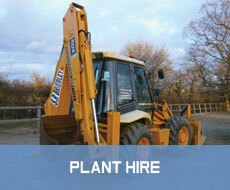 We offer free, no obligation quotations and you will always receive a personal and reliable service. We have £10 million Employers Liability Insurance and £10 million Public Liability Insurance. 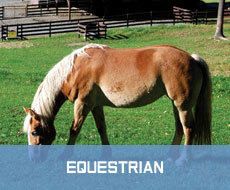 All certificates are available on request and all our work is guaranteed. © Copyright 2012. All Rights Reserved. 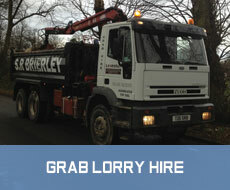 Brierley Groundwork Services Ltd.